Opulent fabrics, impeccable craftsmanship and gorgeous designs, designer Purva Pardeshi has combined all three elements in Red, her label specialising in Indo-fusion wear. Head to this boutique in Ashok Nagar and get that red-carpet look that you always wanted to sport. The next time you are in a fix regarding what to wear for a party, remember designs from Red by Purva Pardeshi. Be it a drape-style maxi-dress, cocktail dresses, ethnic gowns or even lehengas, you can find trendy outfits that will suit all fancy occasions. Add bling to your wardrobe by taking a look at her four collections namely Urban Warrior, Bedazzle, Amira, Le Plisse SS'19, each different from each other in terms of fabrics, designs and craftsmanship. 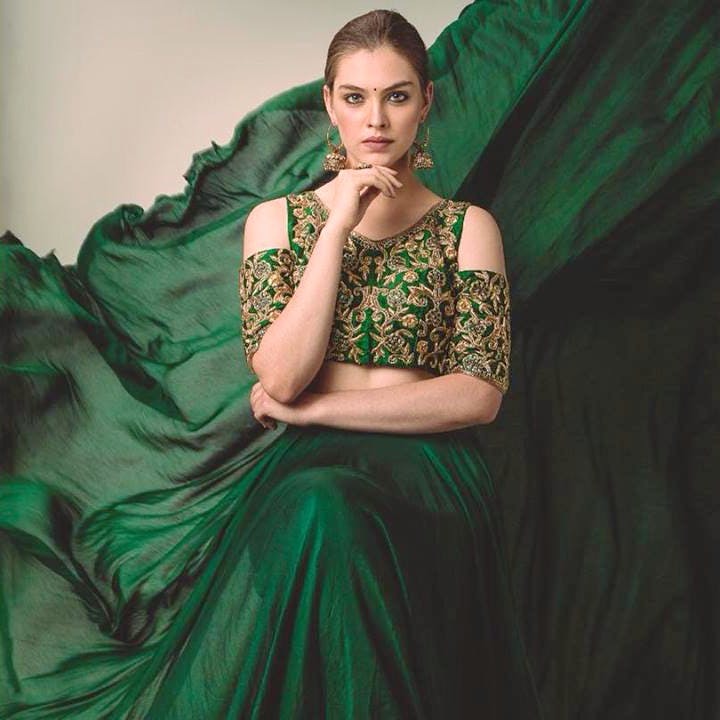 What we love about her outfits is that she has given an uber-chic look to traditional Indian clothes and has a whole new range of Indo-fusion wear. We give full marks to the hand-work that her outfits from Amira sport. Weaved using colourful threads into beautiful designs, you get a Sabhyasachi impression in the outfits. If you think, the collection is just limited to women, you are wrong. Men can have a great time selecting from a wide range of eclectic kurtas, sherwanis and fusion wear. Gentlemen, the next time to plan to up your fashion game, check out the menswear from the Le Plisse SS'19 collection. Starting at INR 4000, many of her designs, especially the cocktail gowns, maxi dresses and mini-dresses are available on many online portals. While checking out the website, we felt that it should mention the price range of her designs. Are you a fan of rich fabrics like raw silk & Banarasi brocade? You should definitely check out Urban Warrior, one of her exclusive collections that was also featured in Pune Fashion Week. Not only it is royal in its design but also gives a glimpse of India's traditionally colourful culture.